Golden Coast / News & Offers / Sales & Marketing / Blog / Direct mail or email? There is still a lot to be said for using the post. To their inbox or their post box? In the beginning, email marketing appeared to be a far better alternative to the tried and trusted medium of direct mail. Emails were easy to write and free to send. Email itself was new and exciting and people were more than happy to share their email address with practically everyone. For a lot of people, checking their email inbox, first thing in the morning, became as big a habit as opening the post with their morning cup of tea. The email marketing industry took off and people began to measure ‘open rates’ and ‘click throughs’ to prove just how effective a marketing channel it was. Businesses began to outsource their email campaigns to specialist marketing agencies. Those agencies began to automate the whole process, to buy massive lists of data and send out more and more emails to people who were less and less likely to be interested in them. As all that happened, email marketing earned itself a new name. Spam doesn’t get read, spam gets deleted. But does that mean that email marketing is dead? Many businesses in the wet leisure industry have built up a good list of their existing customer’s email addresses. These are addresses of people that they have done business with in the past. People that they know and who have asked to receive regular newsletters or be informed about special offers or new products or services. For this sort of marketing communication, email is perfect. It isn’t costly to produce or send. It is more likely to get read than it is to be deleted or caught by a spam filter. The problem comes when a business is searching for new customers. To begin with, accurate and qualified email addresses are hard to acquire. Most people don’t opt-in for third party offers – which is how many email lists are built. With the rise in computer viruses and malware, people are much less likely to open an email from someone that they don’t know. In that environment, an open rate of four or five percent would be considered the norm for an email campaign. That’s only four or five people out of every hundred who even bother to open it. 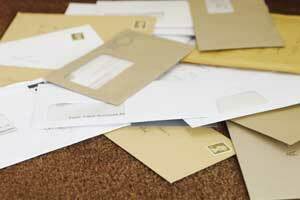 Direct mail, according to most surveys, has an ‘open rate’ of at least ten times that. More than half of the people that receive your mail shot will at least read it. And it can be surprisingly easy to make sure that you are sending it out to the right sort of people. Use your postcode, you’re not properly addressed without it. Most wet leisure businesses work within relatively small geographic areas; perhaps a radius of 50 or 60 miles from their showroom. Within that range there will be estates, villages, areas or even streets where they are more likely to get business from. Direct mail campaigns can target those exact areas. There are also companies that can overlay a great deal more information on top of the postcode to make your marketing even more accurately targeted. They can offer you such categories as, ‘Well-off families in upmarket homes’ or ‘Country living families pursuing a rural idyll’. These categories are defined by household income, family type, age or other criteria. Of course, that sort of data costs money and producing and printing a leaflet, brochure or mail shot that will effectively sell your business will cost more than sending an email. But if you are looking for new customers, targeted direct mail is one of the most effective methods that you can use. At Wet Leisure we are committed to innovation and knowledge within the wet leisure industry. For more information on marketing and promoting your business check out the other articles on this website.